In this case, squirrels were gaining access to inside the building through a broken pipe. There are many possible entry ways into a building - a vent without a screen, a gap where a roof soffit meets the shingles, a plumbing stack with a pipe breach below, etc. Here, we see a ventilation pipe that had a corroded crack in it. That's enough for squirrels! They see an opening, they go in! 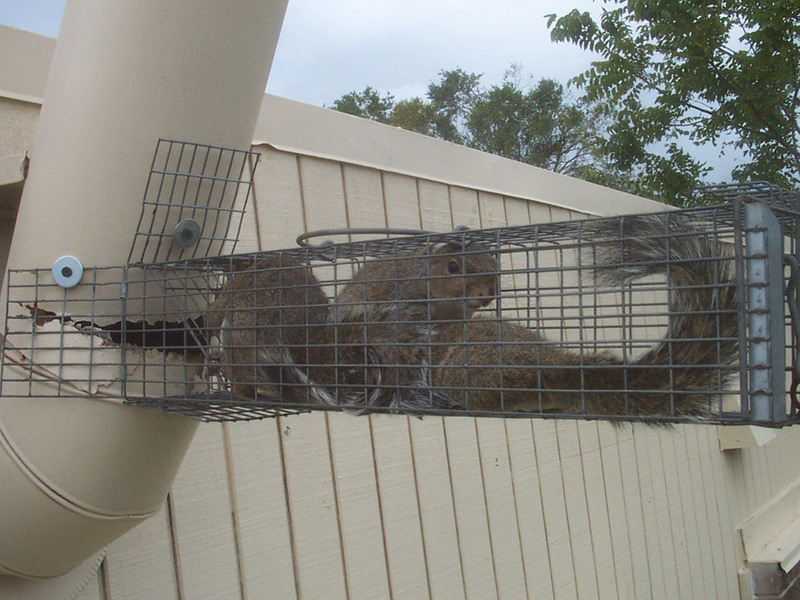 Thus, I set a repeater trap on the pipe, and caught all three squirrels inside very quickly.